A House of Lords debate heard from a handful of members of the upper house who opposed elements of the ivory bill and deemed it “ill-conceived”, “stringent”, “draconian” and creates “massive and unnecessary bureaucracy”. The House of Lords debated the proposed ivory bill at the committee stage on September 10 and 12. Image from parliamentlive.tv. Amendments to the government’s ivory bill, which proposes a near-total ban on the trade in ivory, were proposed but have not been included following a House of Lords debate on September 10 and 12. Among the requests for amendments was a change to the size of the percentage of the so-called ‘de minimis’ exemption and a date change from 1918 to 1947 to allow for the trade in Art Deco objects that contain pieces of ivory. Lord de Mauley, chairman of dealer association LAPADA, said: “There appears to be a premise… that the UK’s fairly minimal international trade in objects made from ivory is encouraging the demand for ivory in the countries of the Far East. As I explained on Monday, if we exclude piano keys, the total number of antiques incorporating ivory exported from the UK to the entire world amounted to 766 items in 2016 and just over 1000 last year. 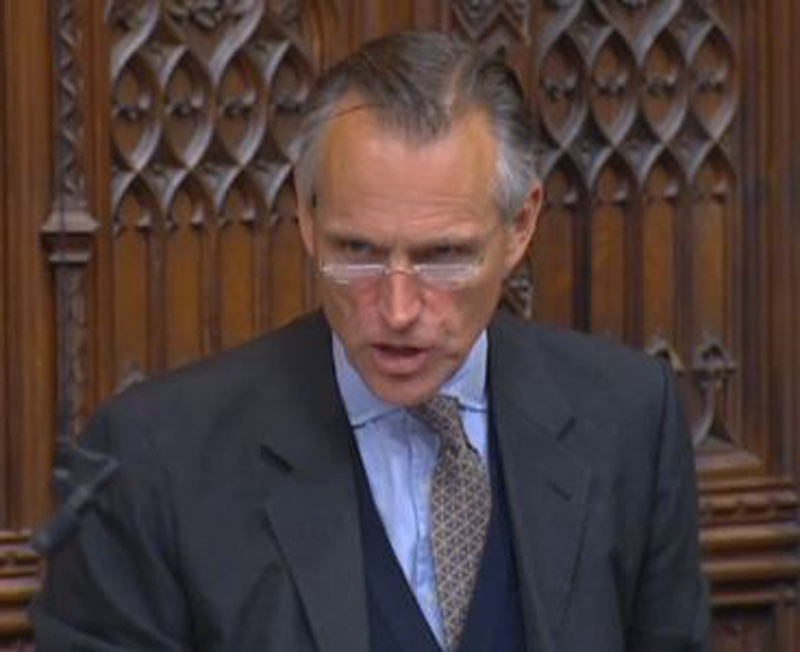 Lord de Mauley, chairman of LAPADA, discussed his requested amendments to the ivory bill in the House of Lords. Image from parliamentlive.tv. “The exported objects comprise a ​mixture of both solid ivory carvings and objects that incorporate ivory, such as musical instruments or furniture with inlay. The latter are of no interest to buyers in the Far East. As I have previously said, these numbers are small fry when compared to the volumes of ivory traded in the ivory consumer markets. Following the debates, Marco Forgione, chief executive of the British Antiques Dealers' Association (BADA), said: “I feel that the debate in the House of Lords exposed the misguided and unsound basis of the Government’s position. Lord de Mauley in particular highlighted not just the inconsistencies of the bill but also the fact that the government is using misleading and incorrect data in assessing the current trade in ivory. The bill will move to the report stage and its third reading in the Lords within the next two weeks, before Royal Assent to make the bill into an Act of Parliament. The details of the ivory bill can be found online at parliament.tv and ATG has compiled a comprehensive guide to the UK ivory ban.